Can you put a price tag on crime victims’ rights? A fiscal note obtained by Policy Watch, which has been kept confidential for the past year, would indicate that you can – and a hefty one at that. The “judicial branch fiscal note,” dated Feb. 8, 2017 and prepared by the Administrative Office of the Courts (AOC), estimates that a change to the victims’ rights section of the state constitution — a multi-part proposal known as Marsy’s Law — would cost the courts $16.4 million to implement and $30.5 million annually in subsequent years for additional district attorney staff. 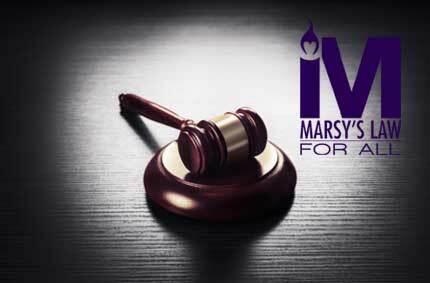 Marsy’s Law would amend the state constitution to expand the legal rights of crime victims. “Other costs of implementation to the courts are unable to be estimated,” the note states. But an advocate for the bill, which was passed by the state House last spring, and one of the bill sponsors reject those estimates. They believe costs to the people of North Carolina associated with Marsy’s Law would be minimal, if any. When asked if there was another fiscal note or any estimate for how much the potential constitutional amendment would cost the state, Dollar said no. “But I don’t think it’s substantial anyway,” he added. 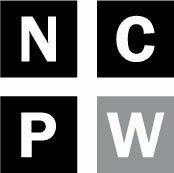 If there was another fiscal note, the public would likely not have access to it – just like it didn’t have access to the one obtained by Policy Watch. The law states that documents prepared by legislative employees upon the request of legislators are confidential except in some instances, such as when those documents become bills or part of a committee record. She also said the AOC does not have a position on Marsy’s Law as written. Other House bill sponsors, Representatives Rena Turner (R-Iredell), Destin Hall (R-Caldwell) and Beverly Earle (D-Mecklenburg) did not return two emails seeking comment about the fiscal note. The bill would significantly expand victims’ rights that are currently enshrined in the state constitution. A May 2017 blog post by UNC School of Government Professor Shea Riggsbee Denning analyzed what the measure would do. Victims would have constitutionally protected rights in more cases; they would have the right to be heard at criminal proceedings other than sentencing; and victims’ rights would be more broadly defined and not subject to statutory changes. Victims would also gain several new constitutional rights, including (but not limited to) the right to be reasonably protected from the defendant, and the right to assert and seek enforcement of his or her rights in any trial or appellate court. Proponents of the bill say that victims deserve the “same” constitutional rights as defendants and further enshrining those rights in the constitution is necessary to make sure they are enforced. Other groups and advocates expressed concern that implementing vague language in the constitution might create tension between frustrated victims and district attorneys. They also worry about unintended consequences of the measure, including its fiscal impact. He, like Dollar, said the cost to North Carolina would be minimal, especially in jurisdictions in which victims’ rights already are enforced. The infrastructure already exists, he added, because of the rights victims are afforded in the state constitution. Marsy’s Law has been enacted in at least five states, although it’s come under legal fire in some of those areas. A study prepared for Marsy’s Law proponents purported to find that, in those five states, there was “no information identified that would document any significant cost” associated with implementing the constitutional amendment. Sinclair said he’s spoken to many victims who feel left behind in the prosecution process and they have no recourse, which is why Marsy’s Law is necessary. Wake County District Attorney Lorrin Freeman said she and other district attorneys have worked with lawmakers on the language of Marsy’s Law, and they will continue to do so. The AOC fiscal note, which is five pages long, delves into all aspects of Marsy’s Law and its potential fiscal impact on the courts, including workload impact to deputy clerks if victims file more petitions for injunctive relief as part of the process of asserting and seeking enforcement of their rights. If ten of those types of cases were filed in a year, the cost to the court system would be $10,420. There are also fees that victims would be responsible for paying if they went through that court process, which the note considers, as well as the possibility that some victims may be indigent and unable to pay those fees. The biggest fiscal impact, though, according to the note, involves district attorneys. The note says AOC workload tables currently (again, this was from Feb. 2017) indicate district attorneys are understaffed by a minimum of 60 prosecutors and 50 district attorney legal assistants. The Conference of District Attorneys estimated in the note that Marsy’s Law would require a 30 percent increase in prosecutor and district attorney legal assistant staff, which accounts for the tens of millions of dollars the measure is estimated to cost the courts. You can read the document in full here. The note states that it does not include expenses that would be incurred by the Offices of Indigent Defense Services. Dollar said he fully expects Marsy’s Law to pass this session and be placed before the voters in November. He added that there has been important bipartisan support for the bill. What remains to be seen is whether any new fiscal notes will be publicly associated with the bill before its passage.